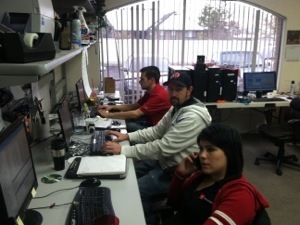 Look at our team working hard on a Friday. I heard this story today on my way home from work and thought it would be something to talk about. Gone are the days of having simple passwords, it is very important that we understand how to not get hacked in the first place. We talk about PCI all the time and these are some simple steps we should all take to not get hacked in general. What Happens if your Server Dies? Is your Data Backed Up? New Website! Check out the new diggs. Hey as you have noticed we have a new website! POS technologies is proud to present to you our new web home. New look better features.